I’m an author and sometimes I get lucky enough to hang out with other authors. Such is the case with my guest today. I met Melissa in a critique group on Scribophile. We chatted about life-type things before discussing writing stuff. Well, maybe talked about both at the same time. I’m thrilled to announce that Melissa is living my dream. 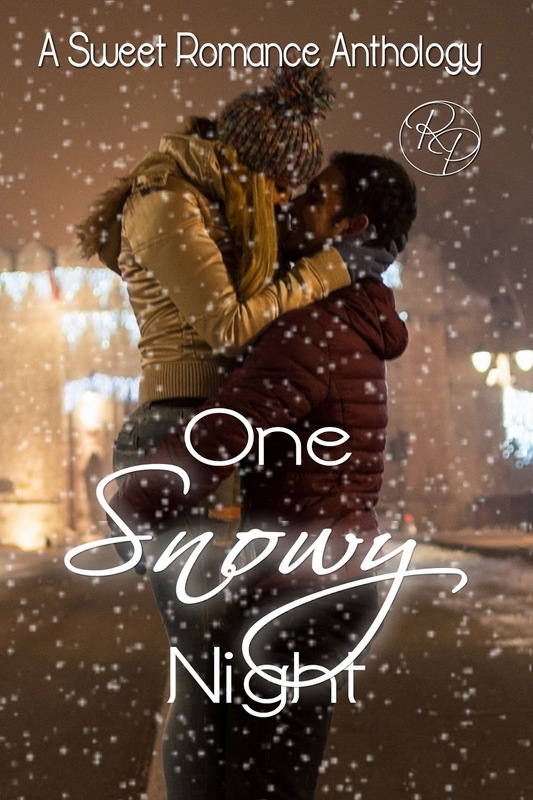 Her young adult romance novel is being released by Evernight Teen (these people rejected a short story I sent them, but all is forgiven since they are publishing Melissa’s novel). Let’s hear what Melissa has to say about her characters, her writing life and what she hopes to gain through this whole writing thing (and it isn’t money or fame). ME: The main character in your novel COLLIDE is a ballerina. Do you dance? Why did you choose ballet over another kind of dancing? Why dancing at all, since it isn’t something most teenagers do? MELISSA: I love this question. I took ballet for a few of years when I was little, but I wasn’t good at it. Not by a long shot. Both my daughter and my niece attend the same dance school, and there’s a big show at the end of every year. When a senior graduates and is getting ready to move on, the owner of the school always does a recap of the person’s history. Many of them dedicated a lot of time and effort, and it showed in their performances. Some started their journey when they were four years old, kept at it through high school, and a few chose to continue with it even after that. My main character, Kayla, was inspired by a mixture of the stories I’ve heard while sitting in the audience. ME: What motivates you to write for young adults? MELISSA: Since the protagonists in YA stories are so young, it allows me to create characters that will truly develop and grow as he or she is thrown into a difficult situation. There are so many possibilities when you’re around that age, and so many hardships that you need to work through. I especially love writing about people who discover emotional strength in themselves that they didn’t know they had, and I think that’s a theme that lends itself well to YA. ,ME: What would be your ideal interaction with a reader? MELISSA: As a new author just starting out, it would bring me great joy just to know that someone read my work and liked it. Whether that’s through some form of social media or someone telling me something along those lines in person, it would definitely bring a big, dorky smile to my face. ME: How long have you been writing? Can you give us a glimpse into the publishing process for this book? MELISSA: I started writing about six years ago. I was tearing through a ridiculous number of books, reading like crazy, then decided to try my hand at it. I’ve been doing it ever since. It took a long time to get to this point with COLLIDE, and I’m so happy that I never gave up. I spent about a year getting the first draft written. I remember thinking that it was taking forever, but I work full time, so finding the time to write can pose interesting challenges. I went through two rounds of beta reads and then worked with a freelance editor. I did another round of revisions after that, and was over the moon when Evernight Teen accepted my manuscript for publication. I went through edits with them as well, and now this baby is finally ready. ME: Name a Young Adult book/series that you think all teens should read. Why? MELISSA: Is it okay if I name two? MELISSA: First, the Daughter of Smoke & Bone trilogy by Laini Taylor is awesome. I think any teen that reads it can learn a lot. I know that Fantasy isn’t a genre for everybody, but the subject matter tackled in each of the books is relatable to real life. The main characters endure warfare, love, and loss in this incredible world that is brought vividly to life by the author. I’m showing that I’m no spring chicken with this next suggestion, but I think every teen should read The Outsiders by S.E. Hinton. I loved this book as a kid, and I still find myself watching the movie whenever I catch it on TV. The story highlights that people shouldn’t be judged based on where they came from, but who they are. I find the display of loyalty and love the Greasers have for each other moving as well. ME: Young Adult books have been getting turned into movies right and left in recent years (HUNGER GAMES, DIVERGENT, MAZE RUNNER). Why do you think this genre draws people into theaters? MELISSA: I think several of the YA books that have been adapted to film share a common thread. Though the stories are very different in nature, the main characters seem to be ordinary teenagers thrust into extraordinary situations. They’re called upon to rise to the occasion and fight. Whether they’re fighting for life (Fault in our Stars, If I Stay) or for a greater good (Divergent, Hunger Games), they are seemingly average people that need to find the courage to go on. I think the ability to watch this kind of struggle and witness the characters transform is empowering for all, whether you’re young or old. ME: I hereby grant you a movie deal. What actors will play your main characters? For Kayla, I would choose Elle Fanning. I loved her as Princess Aurora in Maleficent and I could picture her in a role as an aspiring ballerina. I had a tough time deciding on the male leads! This is harder than I thought it would be. For Alec, I think a younger version of Scott Eastwood would be perfect. Okay, so he’s not in high school, but neither am I, so you’ll have to work with me on that one. 😉 He strikes me as a swoon worthy guy who would be good at protecting his lady. I’d love to see Theo James, Four, from the Divergent movies, play Luke. Again, not of high school age so it would have to be a younger version of him, but I love how he shows both a tough side and a gentle side in those movies, which is a lot like Luke. Add it to your Goodreads shelf now by clicking here!